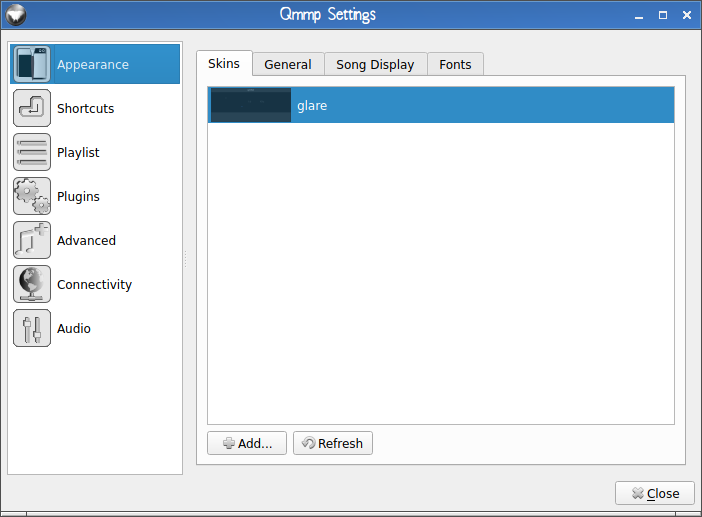 QMMP - QT Based Multimedia Player. 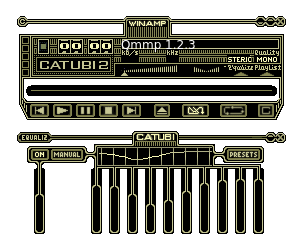 QMMP is an audio-player, written with the help of the Qt library. The user interface is look similar to xmms or winamps. QMMP is available on Most OS (GNU/Linux, FreeBSD, Microsoft Windows). QMMP is available on official Arch repo. QMMP Support these formats : MPEG1 layer 2/3, ADTS AAC, Native FLAC/Ogg FLAC, Musepack, WavePack, tracker modules (mod, s3m, it, xm, etc), CD Audio, WMA, Monkey's Audio (and other formats provided by FFmpeg library), PCM WAVE (and other formats provided by libsndfile library), Midi, SID, Ogg Vorbis, Ogg Opus, Chiptune formats (AY, GBS, GYM, HES, KSS, NSF, NSFE, SAP, SPC, VGM, VGZ, VTX). QMMP DSP effects : BS2B effect, sample rate conversion, LADSPA effects, extra stereo, crossfade. QMMP Plugins Pack is available in AUR Repository. But if you want to to download from official site you must install qt5 first and cmake. Right click on the qmmp, then go to settings, then enable plugins that you want, here's goom for the examples. Go to settings, then choose appearance, on the skins tab click "add.." to add new skins. Ok that's about QMMP -Qt Based Multimedia Player in Archilnux.